Charles W. Karper, Inc. is located in Chambersburg, Pennsylvania and Winchester, Virginia. We have been in the trucking business since 1929. We are a family owned and operated business and pride ourselves in building long term relationships with our customers by providing the individual customer service your company requires. 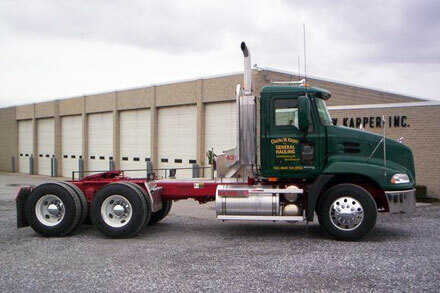 Our goal is to provide you with 100% dependable specialized flatbed transportation specializing in over dimensional loads. Having a very low driver turnover rate allows us to provide our customers with very knowledgeable, professional drivers that have been our greatest asset.